In nearly two decades as an executive with the Ottawa Senators, Erin Crowe got used to regularly being the only woman in the boardroom. It became such an entrenched fact of life for Crowe that her gender’s underrepresented status in the sports industry was something she never really thought about. “But in hindsight, I probably buried my head in the sand a little bit on that one,” the NHL club’s former chief financial officer said Wednesday morning in her keynote address to a breakfast crowd at the Shaw Centre. Now CFO of fast-growing Ottawa telecommunications firm Martello Technologies, Crowe again finds herself in a field dominated by men. 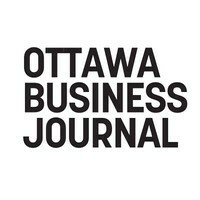 On Wednesday, she used her place on the podium at OBJ and the Ottawa Board of Trade’s Business Before Nine event to campaign for more women in corporate boardrooms and C-suites across Ottawa and beyond. Crowe said it’s no coincidence that firms with female board members tend to have higher valuations. A broader range of perspectives among decision-makers, she told the audience, tends to lead to better decisions. But she said the positive effects on a business run even deeper. Crowe cited some sobering statistics when it comes to the rampant gender imbalance in Canada’s tech industry. She noted that just three of the country’s top 100 tech companies are led by women, while 26 firms in that group do not have any women in C-suite positions at all. She said the gravity of the problem really hit home when she was promoted to executive vice-president of the Senators nine years ago. At her next two employers, she was again the only female senior executive. Still, Crowe said there has been a gradual awakening to the issue in corporate offices across the country. She pointed to a dinner she attended a couple of weeks ago that included bankers and other top investment executives. Although she was one of just three women out of about 45 people at the event, Crowe said she was encouraged that the need to attract more women into science, technology, engineering and math fields was a major discussion point. She heard a number of those in attendance extol the virtues of hiring, retaining and promoting women engineers, coders and programmers. “They talked about the fact that it was important to have that diversity and that they were better companies for it,” she said, while cautioning that Canada’s tech leaders must do more to stoke young women’s interest in learning the skills they’ll need to thrive in the knowledge economy. A commerce graduate of Queen’s University, Crowe has worked in a variety of industries in her 25-year career, including sports, real estate, leisure and now tech, and she shared some of the biggest lessons she’s learned over that time. She said one of the biggest mistakes any business can make is not having a clear blueprint for growth, yet it’s an all-too-common problem in boardrooms around the country. “One of the things I’m a very firm believer in is developing a detailed business plan and always referring back to it,” she told the crowd. “To me, not having a plan is sort of like going on a trip without a map. Still, she said too many businesses fear the consequences of bold changes and delay making them until it’s too late. “When I look back (at the RTO), I think if I had sort of kept waiting until I knew exactly what was going to happen each step of the way, we would have never started,” she said.